We are dedicated to providing a safe and healthful environment for employees and customers, while protecting the public and preserving the RHR Mechanical Contractors, Inc. assets and property. At RHR Mechanical Contractors, Inc. our most valuable resources are the people who work for us. Injuries can be prevented. To achieve this objective, we will make all reasonable efforts to comply with all government regulations pertaining to safety and health issues. An effective Safety and Health Program will be carried out throughout our organization. 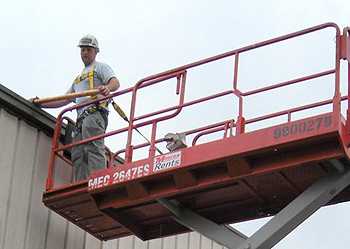 At RHR Mechanical Contractors, Inc. we are sincerely interested in our employee’s safety. The policy of RHR Mechanical Contractors, Inc. is to provide safe equipment, adequate tools, training, and the necessary protective equipment. It is the employee’s responsibility to follow the rules of safety as established for their protection and the protection of others, an to use the protective devices which RHR Mechanical Contractors, Inc. provides.